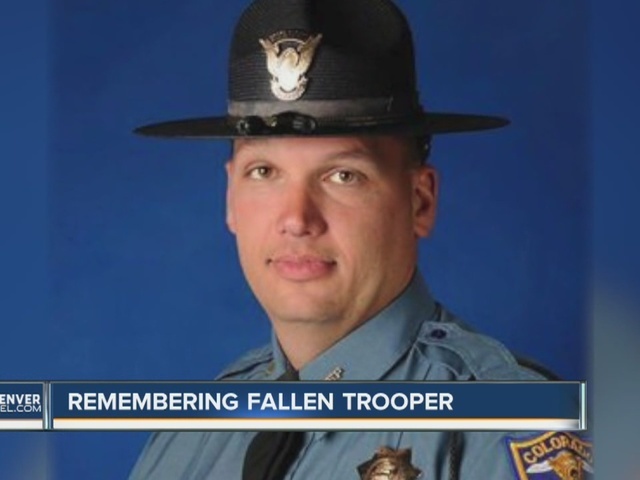 DOUGLAS COUNTY, Colo. – The funeral service for Colorado State Patrol Trooper Cody Donahue will be held this Friday at 11 a.m. at a church in Englewood. The Denver First Church of the Nazarene will host the service, which begins Friday, Dec. 2 at 11 a.m. and runs through noon. 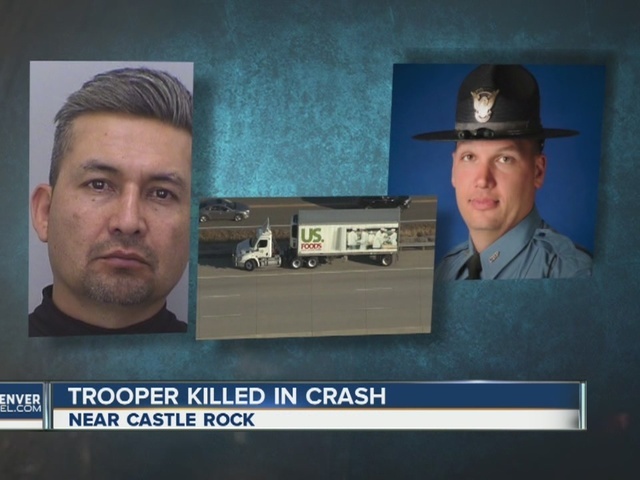 Donahue, 34, of Parker, was hit and killed Friday afternoon as he and another trooper investigated a crash on I-25 south of Castle Rock. A tractor trailer driven by Noe Gamez-Ruiz crossed the solid white line on the side of the interstate, hitting Donahue, who died at the scene. A warrant for Gamez-Ruiz’s arrest says there are videos from Gamez-Ruiz’s truck and Donahue’s vehicle that show the crash. Gamez-Ruiz i s being charged with failure to yield the right away to a stationary emergency vehicle and careless driving causing death. In court Monday, Gamez-Ruiz was given his next court date -- in January. This incident is Gamez-Ruiz only arrest in the state, according to Colorado Bureau Investigation records. Originally from North Dakota, Donahue had been with the force for 11 years and was stationed at the Castle Rock office. He was a husband and father to two young daughters. gave his own wife a ticket." Donahue was called a gentle giant who loved children and helping others. A memorial page set up for Donahue by Ellis Family Services says the family is asking for contributions to the Flying Wheels Foundation be made in lieu of flowers. The foundation’s address is 15055 South Golden Road, Golden, Colorado 80401. A GoFundMe account was set up by the Colorado State Patrol to help raise money for the family. As of Monday afternoon, more than $55,000 of the $100,000 goal had already been raised. The Denver First Church of the Nazarene also held the funeral services for Trooper Jamie Jursevics when she was hit and killed by a drunk driver last year.